There’s a lot of news out there that could potentially affect your investments. The amount of content published seems to grow exponentially as time goes on, spanning across traditional and modern media; news articles, Twitter feeds, opinion and analyst blogs, and other forms of written text inundate anyone who attempts to understand potential risks or find opportunities amongst the noise. 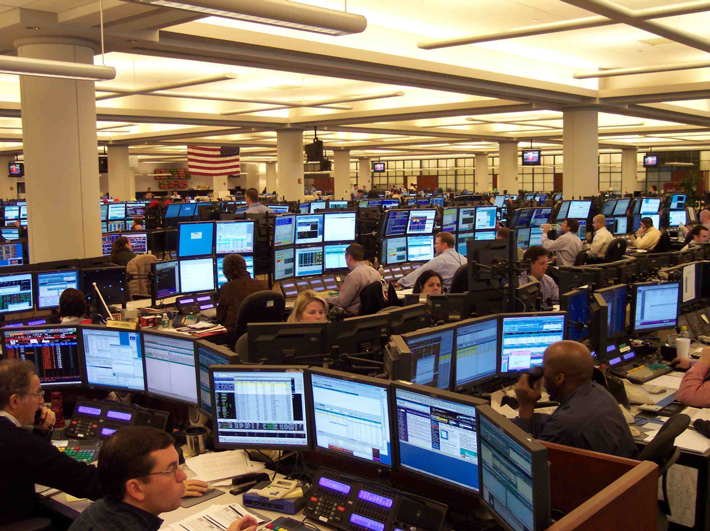 So you can imagine someone working on the trading floor of a financial institution — say a trader or a portfolio manager — using various monitors to attempt to curate precious gems of value out of this torrent of information amongst the shouting of deal-making and negotiating. With all this chaos and noise, ask yourself: Is anyone paying any attention to the TV screens mounted to the walls? Video is the oft-overlooked content medium when it comes to financial services. It’s time-consuming to watch as you can’t just “CTRL + f” and find the specific bit of content that’s relevant to you, and it’s certainly more difficult to watch multiple videos at once. If you wanted to keep tabs on video content, you’d need to appoint someone to sit in front of a video, take notes, and press record when they start talking about one of the companies you’re interested in hearing about. Today, we present an alternative approach. In the code pattern “Watch live news for market changes that could affect your investments,” you learn how to deploy an application to monitor as many video streams as you want and search the audio and visuals of the stream for mentions of companies that you care about, based on the holdings stored in your investment portfolio, in real time. Once it finds a mention, the application records only the bit that’s deemed interesting and notifies you. It’s like having your own customized news desk with Watson as your news anchor and a target demographic of one: you. Institutional portfolio managers and equity researchers can keep tabs on a broader set of content, and will no longer have to omit video from the sources used to divine risks and opportunities for the companies. Wealth managers can use it to determine which of their clients might be affected by various news and can pre-emptively reach out with a point of view. Individuals can use it to set alerts and receive automated notifications when their favorite TV personas discuss investments they care about. Check out the code pattern to see how easy it is to create this app and start tracking financial video feeds.